Hahnemann Hospital: America's top RN model? February 7, 2012 -- Today the Philadelphia Inquirer ran a very good report by Stacey Burling about Hahnemann University Hospital's transition to an all-RN care model, which will mean eliminating the use of nursing assistants. The move, credited to chief executive officer Michael Halter, comes in the wake of a pilot study at the hospital that showed all-RN units had better patient outcomes as well as higher patient and nurse satisfaction. The piece features good expert comment from University of Pennsylvania nursing professor Matthew McHugh, who explains the research showing the benefits to patients and nurses from the use of higher proportions of RNs. The article might also have mentioned that research suggests using higher proportions of RNs does not actually cost much more, and can even save money, when factors like lower complication rates are considered. The report also includes brief comments from two direct care nurses, though it might have gotten more from them on how the move will affect patient care. And the piece should have consulted a nurse manager at the hospital. The piece does rightly include the reactions of the nursing assistants' union, whose representative argues that the move is "union busting" based on a "humbug," though the article includes no support for those claims. We would not expect the report to say so, but this all-RN initiative reminds us of the work of nursing pioneer Lydia Hall, who established an all-RN staff at the Loeb Center at Montefiore Hospital in the Bronx in the 1960's; Hall stressed that all patient care should be provided by professional nurses. On the whole, the Inquirer report is a helpful look at a promising nursing initiative from the same reporter and newspaper responsible for "More nurses, less death," a 2010 piece about a University of Pennsylvania study finding that many lives could be saved if hospitals followed the minimum nurse staffing ratios now required in California. We thank Ms. Burling and the Inquirer for the new report. The percentage of nurses who said they could complete their work during their shift rose from 37 before the pilot to 74 after, reducing overtime payments. Fewer patients got bedsores or had trouble with blood thinners. The number of emergencies at the bedside was nearly halved - a sign, Halter believes, that nurses were identifying problems before they got out of hand. Fewer patients fell. Patient satisfaction rose, especially with pain control. One might think that nurses would balk at doing more menial work, such as changing diapers or taking temperatures. But many nurses have long argued that the more time they spend with patients, the quicker they notice when things are going awry. They see skin problems when giving a patient a sponge bath or notice weakness while helping someone to the bathroom. An all-RN model removes the middleman - the nursing assistant - who had to recognize a problem and then tell a nurse about it. These views, presumably shared by at least some Hahnemann nurses, underline the importance of nurses doing bedside tasks that may strike lay people--including hospital executives--as trivial and easily given to less skilled workers. The piece might have gone further and made clear that it's not just removing a "middleman," but that the "middleman" here does not have the advanced training necessary to recognize many of these subtle changes at all. The piece does have a few direct quotes from Hahnemann nurses about the change, though they don't really address the effect on patients, but instead emphasize the broad nature of nursing practice. Nurse Laura Picariello says: "We're there for the hard part, the fun part, the dirty parts. We do it all." And nurse Brian Emery adds: "A lot of us got into nursing to help patients. It's not really about doing bed baths vs. acute-level skills." These quotes are fine as far as they go, but again, they don't explain why the all-RN model is important to patient outcomes. Halter is quoted as saying that the idea for the change "originated with nurses," presumably meaning nurses at the hospital--so it might have been nice to hear more from them, rather than just the CEO. Halter explains the quantitative and qualitative aspects of the move, which he expects to take six months to a year. The hospital will add about 50-60 nurses to its current total of 600, and that will enable the facility to increase the nurse to patient ratio from the current one to five or six (presumably on the floor) to three to four, plus a charge nurse with no specific assigned patients to help on each unit. Halter notes that nursing assistants have about 10 patients each; they earn about $25 per hour, whereas the nurses make from $35 to $50 an hour. However, Halter believes that the change will ultimately earn the hospital more money and more patients, "as insurance companies change reimbursement policies to reward quality," and that it will lead to a "more loyal staff." The report might have mentioned that research suggests using higher proportions of RNs does not actually cost much more, or can even save money, when factors such as the reduced overtime and lower complication rates are considered. Another promising feature of the "new model" is reportedly bedside handoffs, in which nurses hand patients off at the bedside at change of shift, a move the piece rightly suggests should improve patient education and "might reduce re-admissions." Halter notes that the "biggest complaint we get from patients is, 'I don't know what's going on and I feel like I'm a prisoner.'" This feature, which would enable the nurses to practice "nursing out loud," could also help improve understanding of nursing itself. The Hahnemann initiative reminds us of the work of Lydia Hall, the nursing pioneer who established an all-RN system of care at the Loeb Center for Nursing and Rehabilitation at Montefiore Hospital in the Bronx, which she directed from 1963 until her death in 1969. Under Hall's care model, nurses were to give all patient care, and the only non-RN’s she allowed were “messenger-attendants” who could assist with many tasks but could not touch the patient. Hall refused even to hire former nursing assistants to perform these messenger-attendant jobs for fear that they would eventually end up providing some sort of patient care. 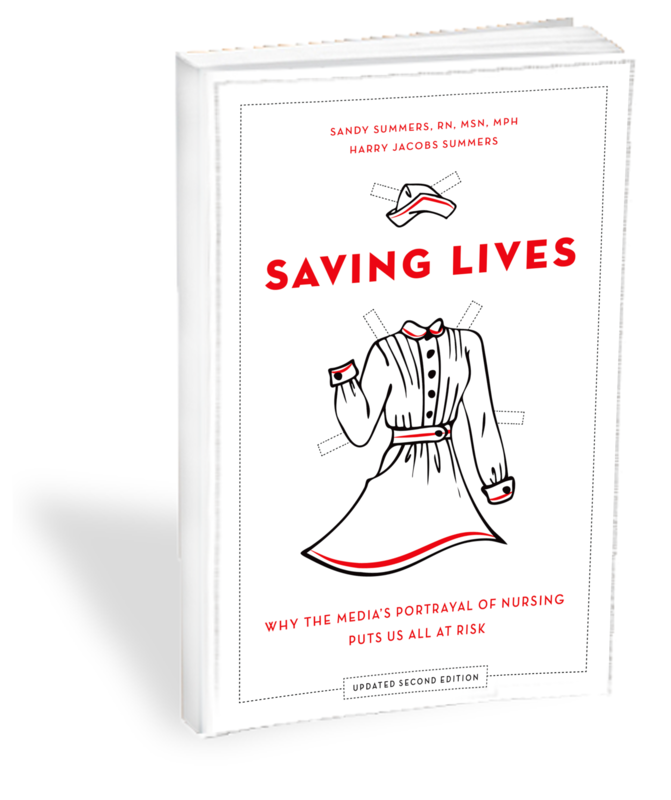 Nurses may find it bittersweet to consider that more than 40 years after Hall's pioneering work, and following the rampant denursification of recent decades, at least some in authority now seem to be rediscovering the importance of professional nursing at the bedside. evidence suggests that patient outcomes are better when hospitals employ higher proportions of RNs, especially when the nurses have more advanced training. More important, though, he said, is that hospitals foster a culture that encourages employees to get more training, have good communication among nurses, physicians and managers, have enough people to do the work, and provide nurses with the tools they need. McHugh says that magnet status, granted by the American Nurses Credentialing Center, is "an indicator" of those qualities, and the piece notes that Hahnemann is a magnet hospital. Of course, some observers are skeptical about whether the magnet program has fulfilled its promise. Neither McHugh nor Halter expects the all-RN model to be a significant trend, but McHugh notes that it could work "for individual hospitals." The piece also quotes Orien Smith, whose father Calvin was recently at Hahnemann to have a catheter placed for dialysis. Smith "likes knowing that 'whoever I'm talking to is his nurse,'" and she believes that the care is "more compassionate because you kind of build a rapport with the person," presumably meaning that fewer caregivers means better bonding. This at least touches on how nurses help patients, though it's more about the "compassion" that most people associate with nursing than it is about clinical skills. The piece rightly devotes substantial space to the perspective of the certified nursing assistants (CNAs) who will soon be laid off. The report says that their union, the American Federation of State, County and Municipal Employees (AFSCME), will picket to protest the change. Henry Nicholas, president of AFSCME District 1199C, argues that (in the piece's words) "patients will have to wait longer for a bedpan or help with dinner." Calling it a "moral question," Nicholas says it is "unjust to throw these people out who have been there for 50 years and beyond just on a humbug." He also describes the move as "union busting." An unnamed hospital spokeswoman denies that and "points out that many other union workers would remain." Halter is quoted as saying that the CNAs "are good people, but my responsibility is really to the patient, because they come in and they turn their care over to us." The union objections seem insubstantial in questioning the hospital's motives and quality of care, and there is no serious challenge to the underlying research. But the argument about fairness to long-term workers is more compelling; the piece does not say what severance package the 75 CNAs might receive, or if the hospital might help them attend nursing school to become the type of care provider that patients really need. One final thing worthy of note is the two photos accompanying the Inquirer piece. Both of them show and identify men in nursing, one taking a pulse and the other a temperature. Together with the quote from Hahnemann nurse Brian Emery above, these elements certainly show readers that plenty of men practice nursing, sending a small message of diversity. On the whole, despite some missed opportunities, the piece offers an engaging and well-written look at an important all-RN initiative that could benefit patients and nurses in many clinical settings. We thank Stacey Burling and the Philadelphia Inquirer. See the article "Hahnemann boosts use of registered nurses in bid to improve care," by Stacey Burling, posted February 7, 2012 on the Philadelphia Inquirer's website. Contact writer Stacey Burling at sburling@phillynews.com.